The United Nations Convention Against Illicit Traffic in Narcotic Drugs and Psychotropic Substances of 1988 is one of three major drug control treaties currently in force. It provides additional legal mechanisms for enforcing the 1961 Single Convention on Narcotic Drugs and the 1971 Convention on Psychotropic Substances. The Convention entered into force on November 11, 1990. As of February 2018, there are 190 Parties to the Convention. These include 185 out of 193 United Nations member states and the Holy See, the European Union, the Cook Islands, Niue, and the State of Palestine. The Single Convention on Narcotic Drugs of 1961 is an international treaty to prohibit production and supply of specific drugs and of drugs with similar effects except under licence for specific purposes, such as medical treatment and research. As noted below, its major effects included updating the Paris Convention of 13 July 1931 to include the vast number of synthetic opioids invented in the intervening thirty years and a mechanism for more easily including new ones. From 1931 to 1961, most of the families of synthetic opioids had been developed, including drugs related to methadone, pethidine (meperidine/Demerol), morphinans and dextromoramide. Research on fentanyls and piritramide was also nearing fruition at that point. The regulated legalization system would probably have a range of restrictions for different drugs, depending on their perceived risk, so while some drugs would be sold over the counter in pharmacies or other licensed establishments, drugs with greater risks of harm might only be available for sale on licensed premises where use could be monitored and emergency medical care made available. Examples of drugs with different levels of regulated distribution in most countries include: caffeine (coffee, tea), nicotine (tobacco),  and ethyl alcohol (beer, wine, spirits). In 2001 Portugal began treating use and possession of small quantities of drugs as a public health issue. This means rather than incarcerating those in possession they are referred to a treatment program. The drugs are still illegal, the police just handles the situation differently. This also decreases the amount of money the government spends fighting a war on drugs and money spent keeping drug users incarcerated. “As noted by the EMCDDA, across Europe in the last decades, there has been a movement toward “an approach that distinguishes between the drug trafﬁcker, who is viewed as a criminal, and the drug user, who is seen more as a sick person who is in need of treatment” (EMCDDA 2008, 22).6 A number of Latin American countries have similarly moved to reduce the penalties associated with drug use and personal possession” (Laqueur, 2015, p. 748). Portugal is the first country that has decriminalized the possession of small amounts of drugs, to positive results. 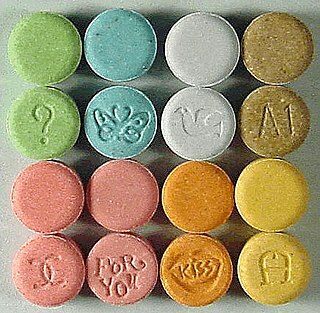 Anyone caught with any type of drug in Portugal, if it is for personal consumption, will not be imprisoned. There are numerous economic and social impacts of the criminalization of drugs. Prohibition increases crime (theft, violence, corruption) and drug price and increases potency. In many developing countries the production of drugs offers a way to escape poverty. Milton Friedman estimated that over 10,000 deaths a year in the US are caused by the criminalization of drugs, and if drugs were to be made legal innocent victims such as those shot down in drive by shootings, would cease or decrease. The economic inefficiency and ineffectiveness of such government intervention in preventing drug trade has been fiercely criticised by drug-liberty advocates. The War on Drugs of the United States, that provoked legislation within several other Western governments, has also garnered criticism for these reasons. The cultivation, use and trade of psychoactive and other drugs has occurred since the dawn of civilization. In the 20th century, the United States government led a major renewed surge in drug prohibition called the "War on Drugs." It was only in the 20th Century that Britain and the United States outlawed cannabis. The British had gone to war with China in the 19th Century in what became known as the First and Second Opium Wars to protect their valuable trade in narcotics. The National Assembly on Friday submitted its amendments to the Ministry of Health, which would place marijuana and vegetable kratom in the category allowing their licensed possession and distribution in regulated conditions. The ministry will review the amendments before sending them to the cabinet, which will return it to the National Assembly for a final vote. This process can be completed before the end of the year. Thus, Thailand may become the first Asian country to legalize medical cannabis. It is worth noting that the proposed changes will not allow recreational use of drugs. These actions were taken because of the growing interest in the use of marijuana and its components for the treatment of certain diseases. In 2013, a District Court in Liberec was deciding a case of a person that was accused of criminal possession for having 3.25 grams of methamphetamine (1.9 grams of straight methamphetamine base), well over the Regulation's limit of 2 grams. The court considered that basing a decision on mere Regulation would be unconstitutional and in breach of Article 39 of the Czech Charter of Fundamental Rights and Freedoms which states that "only a law may designate which acts constitute a crime and what penalties, or other detriments to rights or property, may be imposed for committing them" and proposed to the Constitutional Court to abolish the Regulation. In line with the District Courts' argument, the Constitutional Court abolished the Regulation effective from 23 August 2013, noting that the "amount larger than small" within the meaning of the Criminal Code may be designated only by the means of an Act of Parliament, and not a Governmental Regulation. Moreover, the Constitutional Court further noted that the Regulation merely took over already existing judicial practice of interpretation of what constitutes "amount larger than small" and thus its abolishment will not really change the criminality of drug possession in the country. Thus, the above-mentioned amounts from the now-not-effective Regulation remain as the base for consideration of police and prosecutors, while courts are not bound by the precise grammage. Following a contentious debate France opened its first supervised injection centre on 11 October 2016. Marisol Touraine, the Minister of Health, declared that the centre was "a strong political response, for a pragmatic and responsible policy that brings high-risk people back towards the health system rather than stigmatizing them." The centre is located near the Gare du Nord in Paris. Speaking on the legalization of soft drugs in Ukraine has been going on for a long time. In June 2016, the Parliament received a bill on the legalization of marijuana for medical purposes. It dealt with changes to the current act “On narcotic drugs, psychotropic substances and precursors” and was registered number 4533. The document must examine the relevant committee, and then submit it to the government. It was expected that this would happen in the fall of 2016, but the bill was not considered. Parts of this article (those related to <Cannabis legalization in Canada>) need to be updated. Please update this article to reflect recent events or newly available information. Throughout the United States, various people and groups have been pushing for the legalization of marijuana for medical reasons. Organizations such as NORML and the Marijuana Policy Project work to decriminalize possession, use, cultivation, and sale of marijuana by adults, even beyond medical uses. In 1996, 56% of California voters voted for California Proposition 215, legalizing the growing and use of marijuana for medical purposes. This created significant legal and policy tensions between federal and state governments. Since then, 20 more states and the District of Columbia have legalized and regulated medical marijuana. State laws in conflict with federal law about cannabis remain valid, and prevent state level prosecution, despite cannabis being illegal under federal law (see Gonzales v. Raich). Australia has one of the highest percentages of marijuana smokers in the world. In 1993, HEMP (Help End Marijuana Prohibition) was established and continued the fight for law reform. In 2010, HEMP qualified as a political party and will be fielding candidates in elections where possible. Drug policy reform, also known as drug law reform, is any proposed changes to the way governments respond to the socio-cultural influence on perception of psychoactive substance use. Proponents of drug policy reform believe that prohibition of drugs—such as cannabis, opioids, cocaine, amphetamines and hallucinogens—has been ineffectual and counterproductive. They argue that, rather than using laws and enforcement as the primary means to responding to substance use, governments and citizens would be better served by reducing harm and regulating the production, marketing, and distribution of currently illegal drugs in a manner similar to how alcohol and tobacco are regulated. 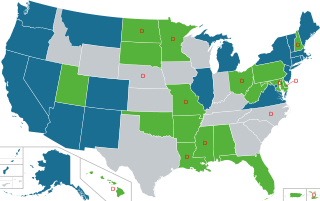 In the United States, the non-medical use of cannabis is decriminalized in 13 states, and legalized in another 10 states, as of November 2018. Decriminalization refers to a policy of reduced penalties for cannabis offenses, typically involving a civil penalty for possession of small amounts, instead of criminal prosecution or the threat of arrest. In jurisdictions without any penalties the policy is referred to as legalization, although the term decriminalization is sometimes broadly used for this purpose as well. A drug policy is the policy, usually of a government, regarding the control and regulation of drugs considered dangerous, particularly those that are addictive. Governments try to combat drug addiction with policies that address both the demand and supply of drugs, as well as policies that mitigate the harms of drug abuse, and for medical treatment. Demand reduction measures include prohibition, fines for drug offenses, incarceration for persons convicted for drug offenses, treatment, awareness campaigns, community social services, and support for families. Supply side reduction involves measures such as enacting foreign policy aimed at eradicating the international cultivation of plants used to make drugs and interception of drug trafficking. Policies that help mitigate drug abuse include needle exchange and drug substitution programs, and free facilities for testing a drug's purity. Minors and the legality of cannabis is a topic around the world because there are many concerns about cannabis affecting adolescents and minors in negative ways. One example of why people find cannabis use among adolescents bad is because they are at a far greater risk of becoming dependent on cannabis. This is one of many reasons of why many different countries regulate cannabis differently, but still maintain a strict regulation on cannabis use among minors. The interaction that minors tend to have with cannabis is dependent on their location. 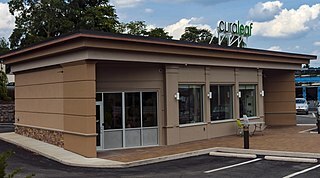 Their location can also shape their perspective on cannabis, which can influence their usage of cannabis. Cannabis in Georgia is legal in terms of its possession and consumption due to a ruling by the Constitutional Court of Georgia on 30 July 2018. 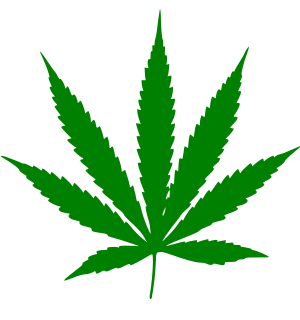 Cultivation and sale of cannabis remains illegal. ↑ Caulkins, Jonathan (2008-09-10). "Is Responsible Drug Use Possible?". Cato Unbound. Retrieved 23 April 2017. 1 2 Drug Policy Reform in Practice: Experiences with alternatives in Europe and the US, Tom Blickman & Martin Jelsma, Transnational Institute, July 2009. ↑ https://www.facebook.com/chrisingraham. "Why hardly anyone dies from a drug overdose in Portugal". Washington Post. Retrieved 2018-07-22. ↑ Szalavitz, Maia (26 April 2009). "Drugs in Portugal: Did Decriminalization Work?". Time. ↑ Thornton, Mark (2006-07-31). "The Economics of Prohibition". 1 2 3 4 Clark, Andrew E. "The Economics of Drug Legalization" (PDF). Archived (PDF) from the original on 2011-08-09. Retrieved 2016-12-10. 1 2 3 4 Grossman, Michael; Frank J. Chaloupka (1998). "The Demand for Cocaine by Young Adults: a Rational Addiction Approach". Journal of Health Economics (17): 428. 1 2 3 Kuiemko, Ilyana; Steven D. Levitt (2003). "Empirical Analysis of Imprisoning Drug Offenders". Journal of Public Economics. 88 (9–10): 2043–2066. CiteSeerX 10.1.1.381.6010 . doi:10.1016/s0047-2727(03)00020-3. 1 2 3 4 Miron, Jeffrey A.; Jeffrey Zwiebel (1995). "The Economic Case Against Drug Prohibition". Journal of Economic Perspectives. 9 (4): 175–192. doi:10.1257/jep.9.4.175. ↑ Miron, Jeffrey A.; Katherine Waldock (2010-09-27). "The Budgetary Impact of Ending Drug Prohibition". The Cato Institute. 1 2 Parliament of the Czech Republic (1998), Explanatory Report to Act No. 112/1998 Coll., which amends the Act No. 140/1961 Coll., the Criminal Code, and the Act No. 200/1990 Coll., on misdemeanors (in Czech), Prague "Podle čl. 36 Jednotné úmluvy o omamných látkách ze dne 31. března 1961 (č. 47/1965 Sb.) se signatáři zavazují k trestnímu postihu tam uvedených forem nakládání s drogami včetně jejich držby. Návrh upouští od dosavadní beztrestnosti držby omamných a psychotropních látek a jedů pro svoji potřebu. Dosavadní beztrestnost totiž eliminuje v řadě případů možnost postihu dealerů a distributorů drog." ↑ "EMCDDA – European Drug Report 2014: Data and statistics — the drug situation in Europe". europa.eu. ↑ "Czech Republic Pharmacies Began Selling Medical Cannabis". The420times.com. Retrieved 23 June 2013. ↑ "Czech Republic Legalizes Medical Marijuana Use". Huffingtonpost.com. 15 February 2013. Retrieved 23 June 2013. ↑ "France opens its first supervised injection center for drug users". Reuters. 2016-10-11. Retrieved 2016-10-14. ↑ Kade, Claudia. "Ab 2017 gibt es Cannabis auf Kassenrezept". Die Welt. Retrieved 2 December 2016. ↑ "Injection rooms for addicts to open next year in drug law change, says Minister". The Irish Times. Retrieved 2015-11-03. ↑ "Health committee rejects Bill to legalise medical cannabis". The Irish Times. Retrieved 2018-04-04. ↑ "Landelijke wetgeving". Archived from the original on 12 December 2004. 1 2 "Støre vil gjøre det lovlig å røyke heroin". Archived from the original on 4 May 2013. ↑ Szalavitz, Maia (26 April 2009). "Drugs in Portugal: Did Decriminalization Work?". TIME . Retrieved 23 May 2009. ↑ Jenkins, Simon (3 September 2009). "The war on drugs is immoral idiocy. We need the courage of Argentina – While Latin American countries decriminalise narcotics, Britain persists in prohibition that causes vast human suffering". The Guardian. London. Retrieved 5 September 2009. 1 2 "La nueva tabla para consumo de drogas es una guía para jueces". Archived from the original on 22 June 2013. ↑ "Dosis máximas de droga para consumo ya están vigentes" Archived 6 July 2013 at WebCite at El Comercio.com. ↑ "Ecuador could regulate the drug industry". Archived from the original on 24 June 2013. Retrieved 24 June 2013. ↑ Uruguay government aims to legalise marijuana. BBC . Retrieved 21 June 2012. ↑ "Uruguay makes history by legalising entire marijuana market". euronews. ↑ "Uruguay marijuana sales delayed until 2015: president – AMERICAS". hurriyetdailynews.com. 10 July 2014. ↑ ABC News (1 August 2014). "Uruguayan Pot Marketplace May Go up in Smoke". ABC News. ↑ www.espectador.com. "Farmacias, conformes con demora en el inicio de venta de marihuana". ESPECTADOR.COM. Retrieved 2016-12-29. ↑ "Canada: Support Grows For Legalizing Marijuana". Media Awareness Project. ↑ "The Government of Canada Tables Legislation that Penalizes Producers and Traffickers of Illegal Drugs" (Press release). Canadian Department of Justice. 11 November 2007. Retrieved 6 September 2010. ↑ "39th Parliament – 2nd Session: Bill C-26". LEGISinfo. Parliament of Canada. 30 August 2010. Retrieved 6 September 2010. ↑ "Government Re-Introduces Legislation to Fight Serious Drug Crimes" (Press release). Canadian Department of Justice. 27 February 2010. Retrieved 6 September 2010. ↑ "Government Re-Introduces Legislation to Crack Down on Organized Drug Crime" (Press release). Canadian Department of Justice. 5 May 2010. Retrieved 6 September 2010. ↑ "NORML Policy on Personal Use". NORML. 3 October 2004. Retrieved 26 August 2008. ↑ "Legalization of Marijuana in Washington and Colorado". reuters. 7 November 2012. Retrieved 10 January 2013. ↑ "Australians biggest users of marijuana and speed". The Sydney Morning Herald. ↑ "Australian Policy on Illicit Drugs, Downloads". Archived from the original on 30 March 2013. ↑ "Music festival pressured to abandon pill testing trial, advocate says". ABC News. 2017-10-13. Retrieved 2017-10-25. ↑ agt. "World Drug Report". www.unodc.org. Retrieved 2017-10-25. ↑ Timms, Penny (28 October 2016). "Medicinal marijuana to become legal to grow in Australia — but how will it work?". ABC News . Retrieved 6 January 2016. ↑ Liberal Democrats call for a legalised cannabis market. Liberal Democrats (official website). Published 12 March 2016. Retrieved 10 May 2017. ↑ A regulated cannabis market for the UK. Liberal Democrats (official website). Published 8 March 2016. Retrieved 10 May 2017. ↑ Liberal Democrats become first major party to back cannabis legalisation. The Independent. Author - Mark Leftly. Published 12 March 2016. Retrieved 10 May 2017.